Opened in 1948 by Harry and Marie (Horn) Bennett, the daughter of Dan Horn, took her father’s recipe and built Pinconning Cheese Company. In 1953, Alex McCourt Jr. and his wife Evelyn purchased the store and renamed it The Pinconning Cheese Store. After their retirement in 1971, the Mastroianni family, led by Richard and Rose, bought the store, added a deli and started selling their famous Pinconning Pizzaloaf. 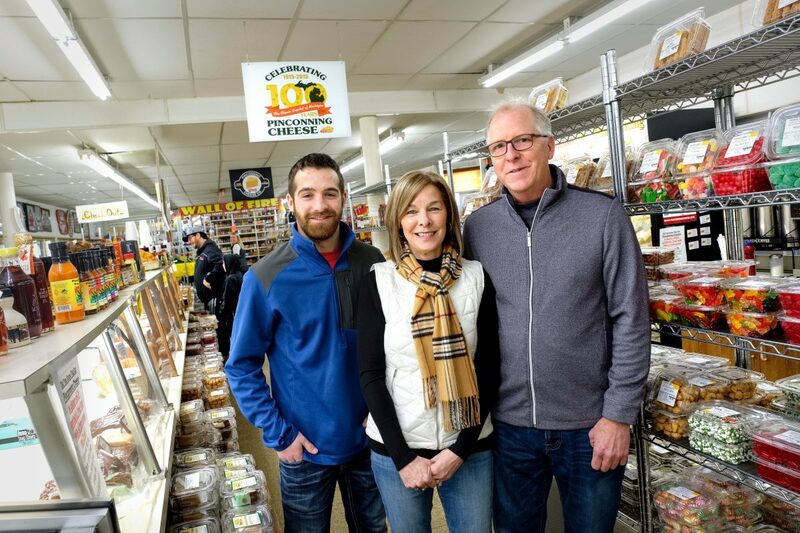 Current owners Brian and Debby Saha, born and raised in Pinconning, bought the store in 1987 and the Pinconning Cheese Co. and Fudge Shoppe was afoot. Brian shares that even after all the name and ownership changes, one thing always stayed the same: original, homemade Pinconning Cheese. in old-fashioned wheel form, are what people come in for. 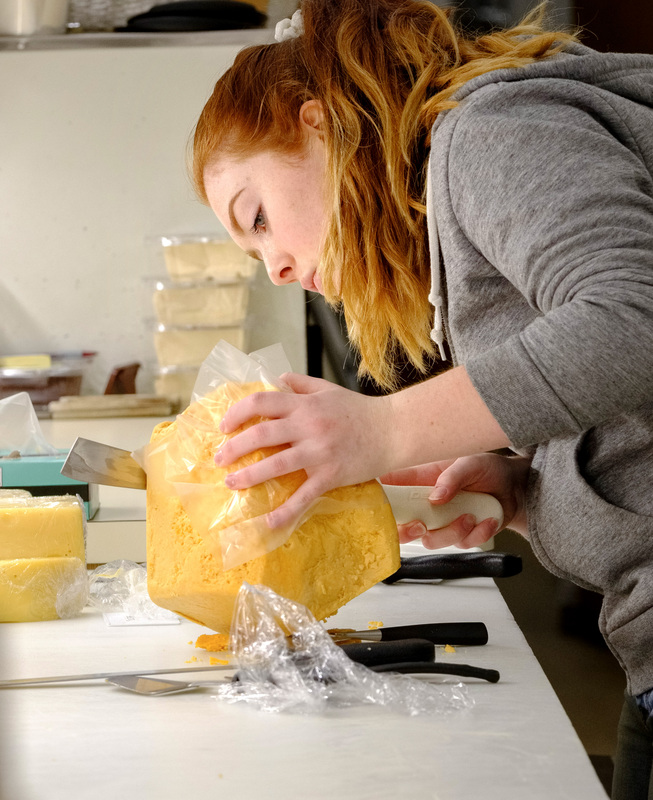 We can make it squeaky-fresh, which is one-day old cheese to about a week old and then we age them all the way up to 15 years old. The sharper it is, the more after-taste. Typically, as people get older they like the sharper cheese and the younger folk like the mild, squeaky stuff – the cheese that squeaks in your teeth after each bite. We do all of the aging here. As cheese ages, the water content evaporates. The more water content, the squeakier the cheese. We also do simple processing – meaning we mix spreads and cut and wrap items on the wholesale level. We contract our formulas with two other production facilities offsite to make the original style Pinconning Cheese for us. to know how much product we will go through on an annual basis. 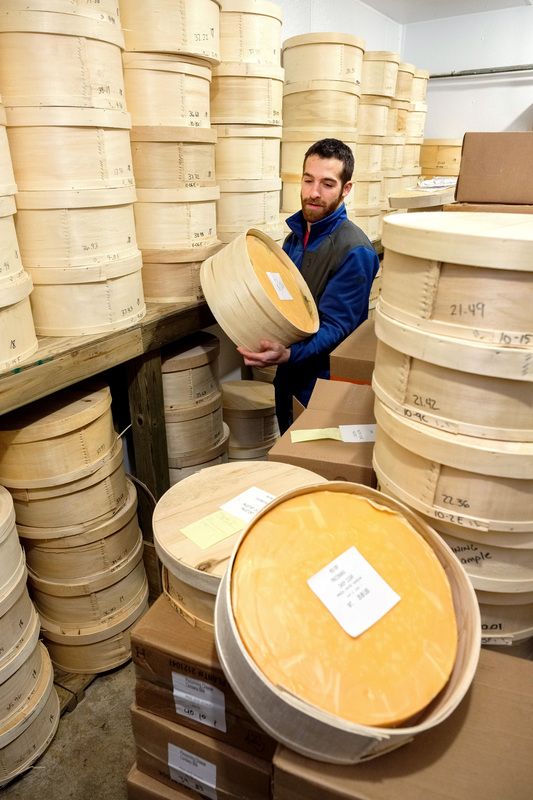 Some of our cheese is aged up to 120 months and if we get a busier than normal season, we have to rely on the cheese we made years ago. We go by history and continually keep making and aging. We have a smaller cooler and then a larger aging cooler here for that purpose. to open up their cottages and visit their properties, it became a tradition to pick up some Pinconning Cheese as they are passing through. Pinconning is an easy track for those heading north from the metro-Detroit area. It was always perceived as the catalyst for the growth of our cheese. Hunting season and the fall color touring season also get people to start traveling. that you can’t find anywhere else. 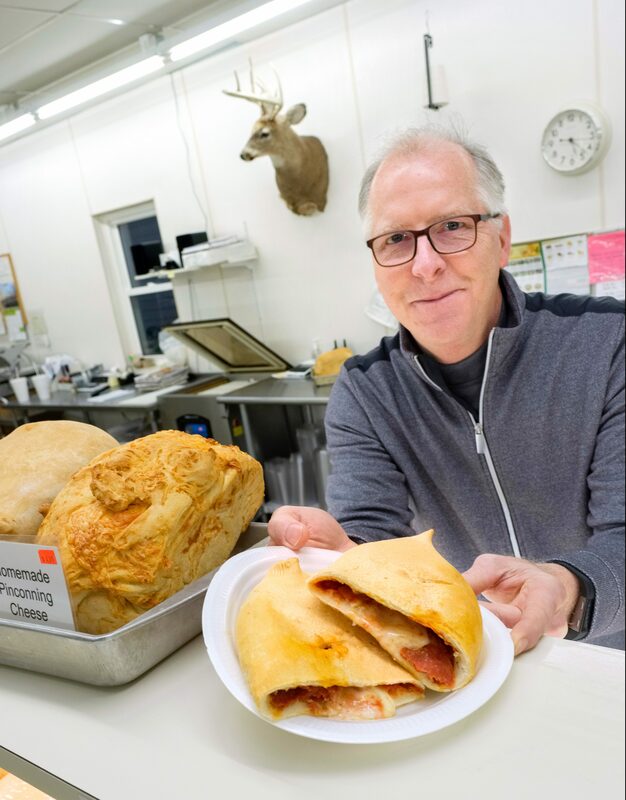 The Mastroianni’s, the prior owners, added a deli and we carried on that tradition, along with the famous Pinconning Pizzaloaf. It’s a stuffed, sealed and baked medium pizza, like a pocket pizza. They started that in 1972 and it’s a key product that people come into our store and buy still today. We started making fudge in-house in 1989. We always try to expand our horizons to make it a little bit more interesting to stop. We try to complement the cheese with all the other temptations in the store. December is actually our busiest month. 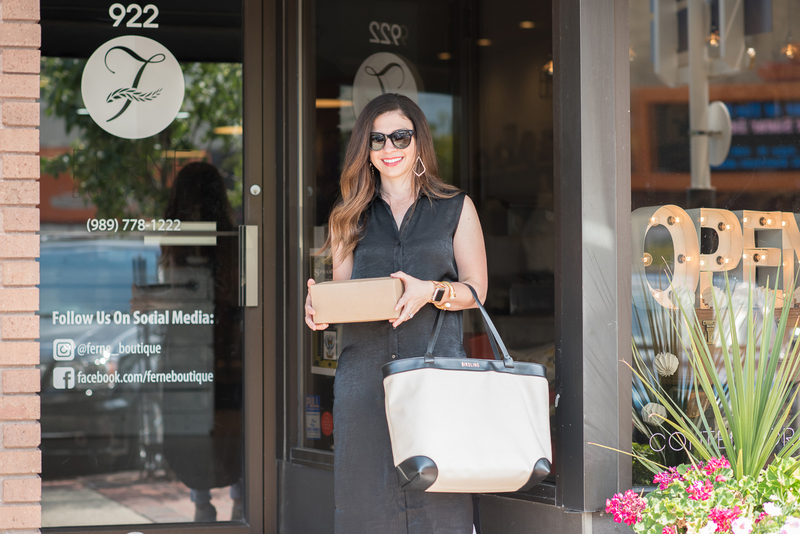 We do a lot of gift packages and we send our cheese and other Michigan-made products through gift boxes and individual packages all across the country. because our products are perishable so we need to make sure we use a service that is timely. MRA’s program meets those standards. It was kind of a no-brainer. 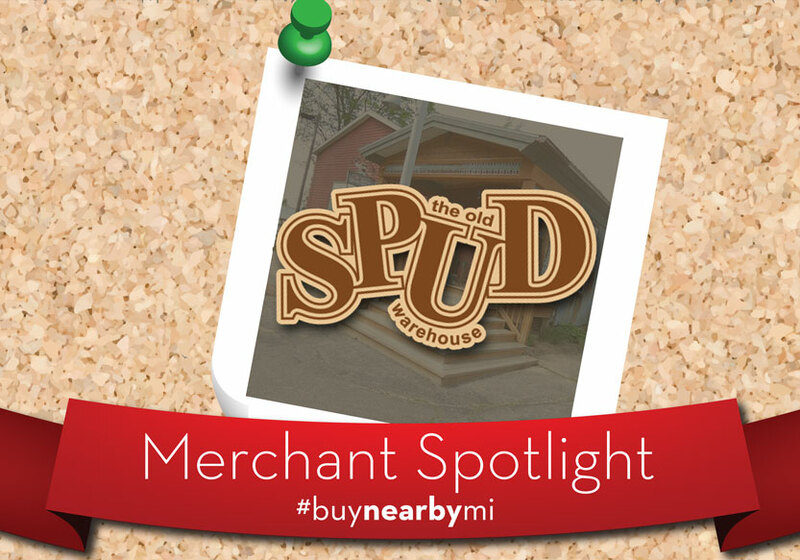 In 2018, the Pinconning Cheese Co. and Fudge Shoppe saved $632.79 using MRA’s shipping program. Last year, MRA members saved a total of $126,770.76. 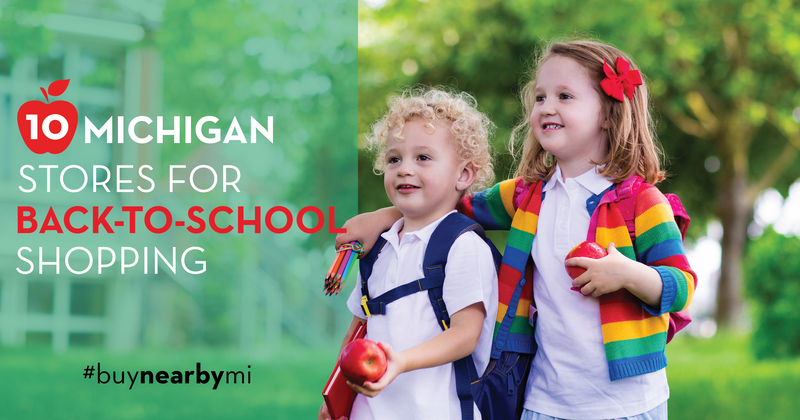 For more information or to enroll, visit partnership.com/41mra.